Hard to find in PTC at this price but here it is. 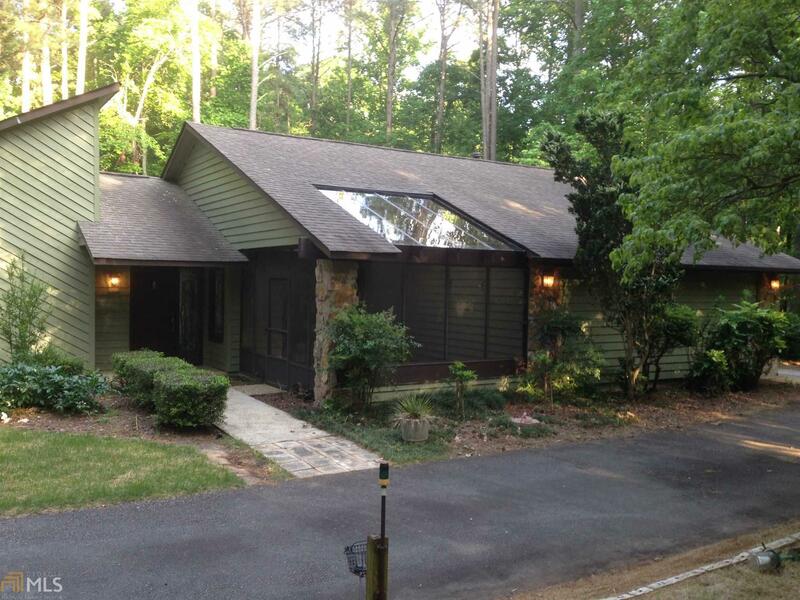 4br home on a private 2.42 acre lot. Completely remodeled with commercial grade hardwood floors, granite counters in kitchen and baths. Stainless steel appliances. New paint inside and out. So much more. Stone fireplace. 3 season glass roofed screened porch. It&apos;s just a perfect doll house. New separate 2 car garage. Would make the perfect workshop. Outside offers beautiful upscale wrought iron fencing with electronic entry gate. French doors in the master leads to a dreamy outdoor vintage type sitting area. Large patio. Great for entertaining. Walking paths. French type landscaping with year round blooms. Convenient to Lake Kedron and Hwy 74 for easy commuting. Desired schools. Directions: From Hwy 54 To Left On Peachtree Pkwy To Parkway Estate On Right. Home First On On Right. From Hwy 74 To Left On Parkway To Parkway Estates On Left.